You will love the natural look of these beautiful hand formed bronze leaf earrings! Inspired by real leaves, these are an absolute must-have pair of earrings! The perfect pair of rustic, nature inspired earrings... from the shine to the size, these earrings are sure to grab attention! Handmade with pure bronze, each leaf is hand-cut then formed into a 3/dimensional shape- to resemble real leaves! Each leaf is smoothed and finished in a tumbler to create amazing sparkle and shine. The ear hooks are also hand-made with pure thin gauge rose gold fill wire. 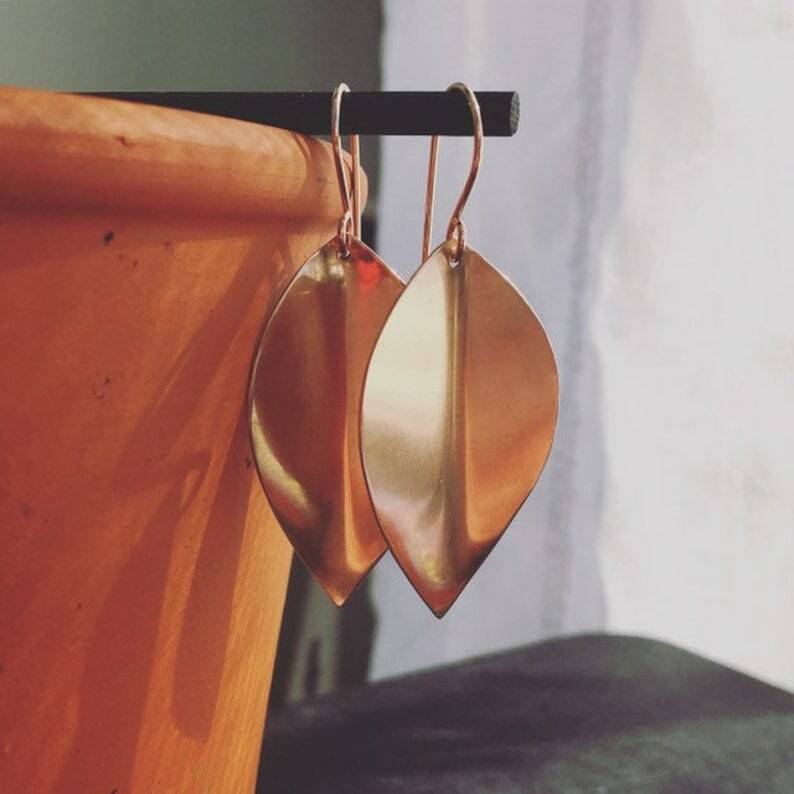 Although the size of these bronze earrings is larger, they are so lightweight, comfortable and fun to wear! Size: these rustic leaf earrings are approximately 2 1/4" in length including earring hooks.